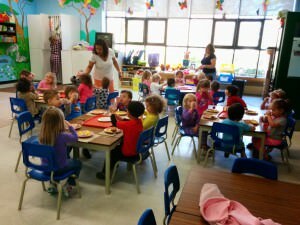 At Montessori Pointe Claire we pride ourselves in having an outstanding lunch menu. Our healthy and varied menu is created by our chef and nutritionist. All food is fresh and nutritious and prepared on the premises by our chef. We maintain a wide variety in the menu including vegetarian meals. Due to dietary restrictions or allergies we do not serve pork or any peanuts or tree nuts. If at any time parents have questions about the menu, they are able and welcome to speak directly with our chef. Parents are also invited to come and try a lunch with us. For children with dietary concerns, allergies, or other dietary restrictions, at the time of registration the necessary information will be obtained from the parents. Parents will meet with the teaching staff and with the chef, and the menu will be modified as required to meet the needs of the child. For children with allergies, meals are prepared individually. Our focus at lunch is that this should be a social time that is enjoyable for the children, so that as well as eating a healthy meal, they also enjoy the opportunity to chat and interact with their friends. 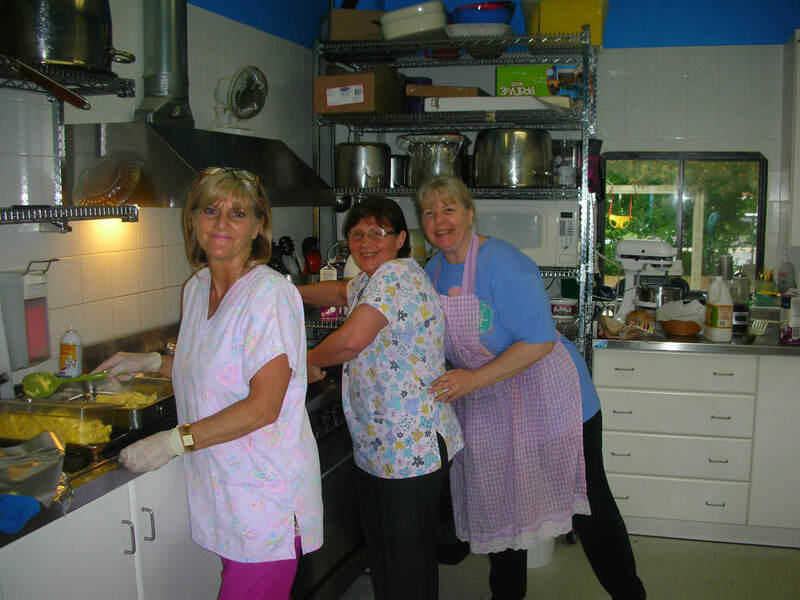 Our experience is that when mealtime is pleasant, everyone eats well. The lunch menu consists of several “courses”: Salad or soup, a main course, and a healthy “dessert”. A copy of our current menu available on the web site in the Downloads section. Salad: We offer varied salads – Caesar salad, tomato and cucumber salad, spring salad, etc. In all cases salads will consist of a variety of: lettuce, cabbage, carrots, spinach, celery, cucumbers, broccoli, tomatoes, cauliflower, beans, feta or mozzarella cheese. We make our own croutons and dressing is always on the side. Soup: Our soup is a meal in itself. Our hearty soups are home-made using meat or vegetable stock, puréed vegetables, Italian pasta noodles, rice, barley or lentils. Whether it is a carrot soup, a leek soup, or any one of hundreds of our soup recipes, our chef’s soup is a favourite part of the children’s lunch time meal. 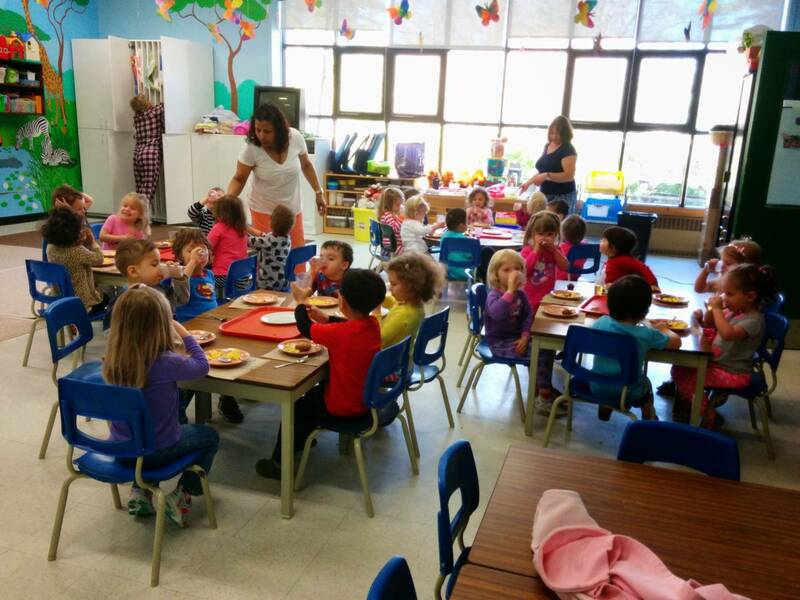 Main Course: Children quickly become accustomed to eating a variety of meals at Montessori. Even the fussy eaters find they can’t resist our chef’s cooking. The main course for lunch is either a top quality meat or fish with vegetables, healthy sandwiches, Italian pasta including our chef’s famous lasagna, or one of many of our favourite vegetarian meals such as salmon patties or zucchini burgers. In all cases ingredients are fresh and healthy and meals are cooked from scratch. Dessert: To finish off a great meal we have fresh sweet fruit. We love our apples, bananas, pears, grapes, peaches, nectarines, oranges and melons!